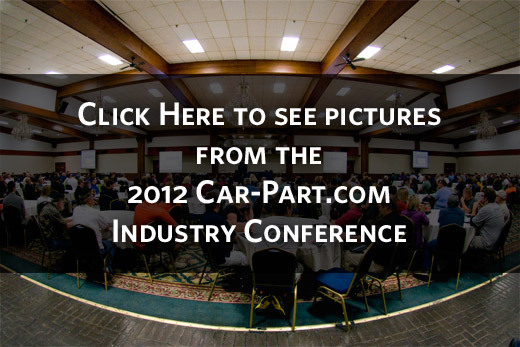 Come see Car-Part's product roadmap and how we are "PROviding tools for a PROfitable future!" See even more photos on our Facebook page! Our completely integrated suite of products is designed to help you better manage your recycling business and sell more parts. Car-Part's product suite is designed to help you every step of the way: from buying the salvage customers most want and efficiently managing inventory to increasing your visibility to online retail buyers and helping you sell extended warranties to professional buyers! The Car-Part conference gives you the opportunity to spend time with the people who actually design and build the features you rely on. Our Specialized Trainers are available throughout the conference to give you the individual attention you need! Gain insight into how to be a better manager, ways to maximize your sales opportunities, and ideas to help you grow your business from respected experts! Hear from recycling industry experts such as ARA President Randy Reitman, Jim Smith of JSC Group, and Robert Counts. Learn new ideas from professional business advisers and human resource experts Dr. Linda Gravett and Derek Jackson. Car-Part Pro helps make your parts more attractive to shops and appraisers. Provide local delivery times to shops based on your delivery zones and production process. Leverage your broker network to provide more parts. Boost extended warranty sales with laid-in pricing. 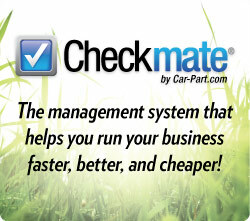 Checkmate® increases retail sales and streamlines processes. Leverage eBay® integration for high-volume listings. Simplify your production process with Order Trakker™. Avoid warehouse mistakes with Real Time Barcoding™. Bidmate with Car-Part data enhances the buying process. 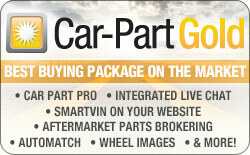 Buy what your customers want by leveraging Car-Part's 10 million part searches per month. CrashLink gives you one-click access to OEM pricing and interchange information. Integrated search from your management system provides access to an OEM pricing calculator, interchange data, and detailed image diagrams. SmartVin on your website makes searches easier. Car-Part Messaging (iCPM) gives you the power to buy and sell instantly. Communicate instantly with thousands of recyclers in the Car-Part Messaging (iCPM) network, as well as customers and shops who want to buy your parts. Recycler Executive Roundtables give you the opportunity to learn from other recyclers. Share ideas, compare business metrics and solve common problems with other non-competing recyclers. Plus many more new and existing features you might not even know about! The Car-Part Industry Conference is a great value so you can bring your key staff to get additional training on the entire Car-Part product suite. "Whatever you people are doing, keep it up. I've not seen excitement in the industry like this since the days of Autoinfo!" The Drawbridge Hotel is offering a Car-Part rate of $66/night through July 2, 2012. Please call the Drawbridge Hotel directly to make your reservation and mention the Car-Part rate. After July 2 the Car-Part rate may be honored, but will be based on room availability. The closest airport is the Cincinnati/Northern Kentucky International Airport (CVG) (http://www.cvgairport.com). The Drawbridge Hotel offers a free shuttle service from CVG. Visit http://www.drawbridgehotel.com/featuredetail.php?FeatureID=11 for more information.